Building railroads was never easy. 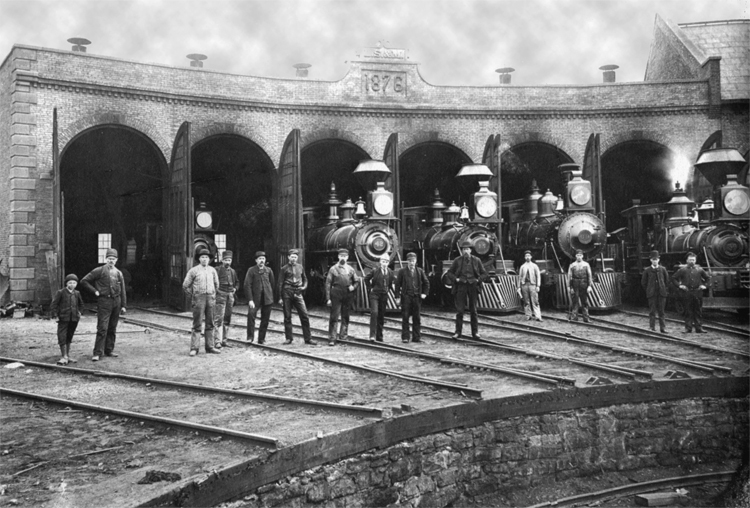 Early railroad construction was always enabled through the work of a diverse group of strong-willed individuals who had access to capital, land and regulatory influence at both the state and federal levels. The first rail link between the Twin Cities and the Head of the Lakes—what would eventually become the Northern Pacific Railroad—was no exception. The story begins in 1857 when Minnesota legislators issued a charter for the Nebraska & Lake Superior Railroad Company, designed to run from St. Paul to Omaha. A lack of funding prevented construction—but that didn’t stop the railroad’s developers from pressing on. In 1861 the state allowed the charter to be changed to create a new line running north to the western-most tip of Lake Superior. The name was changed to The Lake Superior and Mississippi Railroad Company (LS&M). This new charter included a grant to 694,000 acres of land along either side of the proposed right-of-way. Cooke himself visited the Head of the Lakes in 1868 (some accounts say 1866) to have a look for himself. He saw great promise in the region, and with the help of some financial grease provided by St. Louis County, he decided to terminate his railroad line in the Zenith City. By January 1, 1870, 50 additional miles of track pushed as far as Hinckley, Minnesota. The final 75-mile piece of the line from Hinckley to Duluth was completed on August 1, 1870, with the ceremonial last spike driven at Thomson, Minnesota. The first full train to run along the line was pulled by engine No. 8 and traveled from St. Paul to Duluth on August 2. This vital new rail link between St. Paul and Duluth officially opened for all types of traffic on September 15, 1870. In Duluth the railroad terminated along the western shore of Rice’s Point at DeCosta’s Dock (named for the railroad’s chief engineer), and goods were taken to or hauled from the dock on vessels using the natural Superior Entry to access the St. Louis River. But the shallow waters in those days meant that the vessels could not be fully loaded, so in 1869 the LS&M built a freight depot along the lake shore near today’s Third Avenue East, as well as a breakwater extending from Fourth Avenue East to protect vessels tied to docks along the lake shore. Cooke also financed the construction of Duluth’s first grain elevator, Elevator A, between the LS&M station and the breakwater. The idea was to take advantage of the developing grain fields of the Red River Valley and make Duluth a grain-trading center. Cooke was also involved in the building of both the Great Northern Railway (GN) and the Northern Pacific Railway (NP), two competing transcontinental railroad lines that ran from St.Paul to Washington’s Puget Sound. Each would eventually have large terminal facilities in Duluth-Superior. But the breakwater soon proved ineffective, and Duluthians looked again to an idea that had been bandied about since the 1850s: dig a canal through Minnesota Point. The town had no money, so Cooke’s railroad financed the canal dig by issuing $50,000 in bonds.